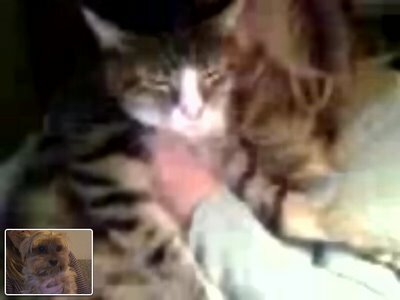 Beverly and Chumley video-chatted tonight. Chumley was complaining about his move to Seattle. He doesn't like it there. 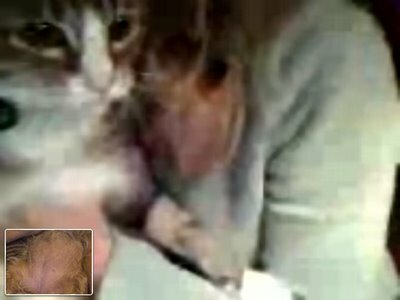 After about five minutes, I looked away from the camera for a second and when I turned back around, Beverly was showing him her private parts. I don't know where she learned this behavior from, but I told her it was unacceptable and scolded her.